Ramadhan for all Muslims is just around the corner, and to celebrate the holy month of Ramadhan, Impulse Studio is introducing a new promotion for everyone. Don’t let Ramadhan be a reason for you to stop working out! Head over to our studios now. Terms and Conditions apply. This promotion is open to existing clients and first-timer clients of Impulse Studio Sdn. Bhd. 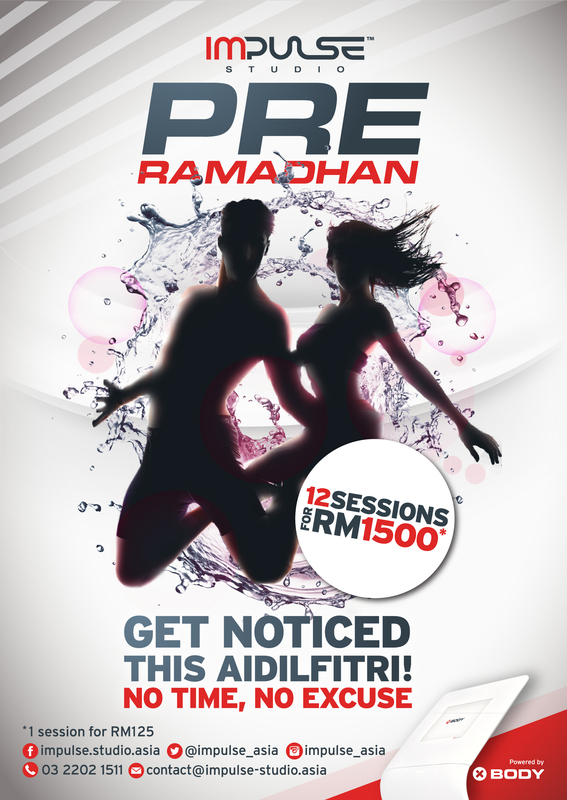 This promotion is 12 sessions for RM1500. The purchase of this promotion is only from 12 June 2015 to 31 July 2015. The validity of this promotion is for four (4) months only. This promotion can only be purchased one time, per person. The promotion can be used either in Bangsar or Platinum Sentral. This promotion is exclusive of GST 6%. Impulse Studio reserves the right at its absolute discretion to vary, delete or add to any of these Terms & Conditions with 3 days prior notice. Impulse Studio shall not be liable for any default due to any act of God, war, riot, strike, terrorism, epidemic, lockout, industrial action, fire, flood, drought, storm or any event beyond the reasonable control of Impulse Studio. Impulse Studio reserves the right to cancel, terminate or suspend this Promotion with 3 days prior notice. For the avoidance of doubt, cancellation, termination or suspension by Impulse Studio of this Promotion shall not entitle the client to any claim or compensation against Impulse Studio for any and all losses or damages suffered or incurred by the clients as a direct or indirect result of the act of cancellation, termination or suspension. By participating in this Promotion, the client agrees to be bound by these Terms and Conditions and the decisions of Impulse Studio. Next Post Get 20% OFF Protein Shakes!